"The professionals of the request to the president not to sign often say nonsense words. For the rest I have nothing to add…"
This is what Giorgio Napolitano answered to the call by Italy of Values not sign to the confidence vote recently got by Senate on wiretapping bill. First of all, I state that my post is in no way an attempt to accuse the President of the Republic as accountable for what is happening in my country. I don’t want to pull his jacket, as many say now, on the press and TV. In fact, do you know what I come to say? Napolitano has no power to stop the government's action, whatever it is. Yes, occasionally he may say some no, but generally the highest role, in the State I live, has no chance to refuse to sign an order that those who held the real power in Italy especially take care. And do you really want to see why? Because otherwise he would never, I repeat, never have been elected. Therefore, a man who finished his oath in 2006 with these words: I will not be any time the President only of the majority who has chosen me, I care and respect all of you, all the ideals and political positions you express... and four years later calls the requests to defend the Constitution, freedom of press, of speech and our democracy nonsense words, is here on this Blog only as a pretext. Once upon a time there was a land of nonsense words. Nonsense words such as freedom. The freedom that, according to Locke, does not exist where there is no lawfulness. Where there is no lawfulness there is no law. And where there is no law, freedom cant’ be, Calamandrei closes the circle. A freedom that for Pope Paul VI often weakens when the man fall into extreme poverty. Freedom that may not be claimed, as Pasolini says, but must be defended against all odds. Because Plato was true: freedom lies in the right to be master of our own life. It's the basis of a democratic state, as Aristotle reminds us. And the way used by freedom to make that state democratic is called press, as he De Tockueville writes. Nonsense words in the land of nonsense words. Nonsense words such as resistance. 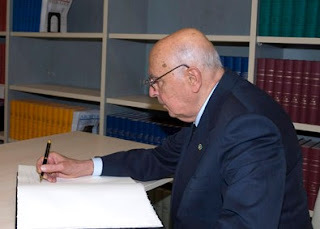 The resistance in the warning by Sandro Pertini – many years before he deserved the honor of being named president - calling citizens and workers in the general strike against fascist war. That resistance may disobey but, as Gandhi says, can do so remaining civil, sincere, respectful, never capricious and provocative, especially avoiding to hide resentment and hate. A fundamental resistance, because ignoring the evil is equivalent to being accomplices, Martin Luther King tells to all of us. A resistance that absolutely must take a strong position, because - paraphrasing John F. Kennedy, democracy must end the dictatorship or the dictatorship will end it. A resistance, as De André sings, that will never be able to protect the freedom of the people without the participation of it. Other nonsense words from the country of nonsense words. Revolution as a change of things that will never happen without a revolution, as Robespierre says. A revolution that never was in Italy, as Mario Monicelli tells. A revolution that for Indro Montanelli doesn’t need big ideas to win, but simply to create a ruling class better than the previous one. A revolution, as Woody Allen remembers, which takes place only if with the usurper there are those who rebel. A revolution that must primary come from feelings, as Luigi Sturzo says. And that we must do first of all within us, quoting Che Guevara. Anyway, these are all nonsense words in the country of nonsense words. So they always will until someone does not transform them into practice. 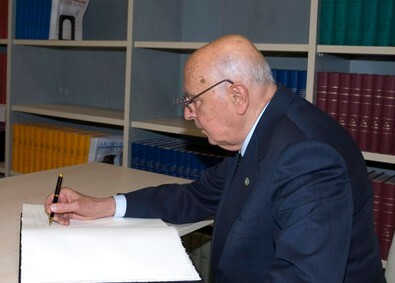 The News: President Napolitano calls nonsense words the request not to sign.